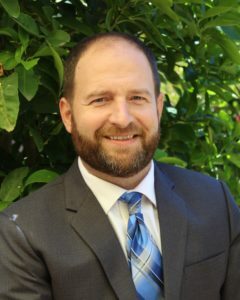 Jeremy Ghent, currently the Wastewater Operations Manager for San Luis Obispo County, is inline for approval during Thursday’s sanitation district board meeting. The board has agreed to pay Ghent $150,000 a year plus medical and retirement benefits, according to Ghent’s contract. The agreement also includes a one-year severance package should Ghent be dismissed from his position before he has served for two years. Ghent is a licensed civil engineer who holds a master’s degree in civil engineering. He has worked as a civil engineer for the past 18 years and currently manages three wastewater treatment facilities . The previous administrator, Gerhardt Hubner, left in Aug. 2017 after a tumultuous eighteen months that led to legal bills of over $300,000. Under Hubner, the district launched investigations into alleged racism and code of conduct violations by Hubner, alleged threats made by the sewage plant chief operator and an alleged Brown Act violation by a district board member. Ghent is scheduled to begin working at the sanitation district on July 2. The District hires an adult! Good news. Wishing the district and Mr. Ghent all the best. It’s time for the district to get out of the litigation business, but for the necessity to go after John Wallace in a civil action to recover their lo$$e$. BTW, the meeting where this contract will be approved is Thursday at 6PM at the Oceano Community Services District Board Chambers.